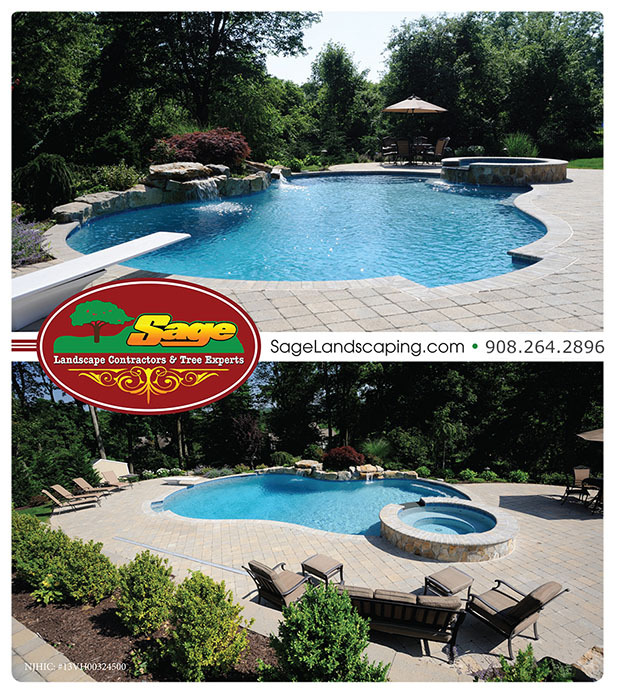 Sage Landscape Contractors offers a wide variety of services and amenities to complement or enhance any outdoor setting. Our specialties include pools, spas, and water features; patio, walkway, and step construction; outdoor kitchens; decorative and structural retaining walls; privacy fencing and custom gates; driveways; grading and drainage systems; and landscape lighting. Sage also employs a team of tree and plant care specialists including arborists, technicians, and landscapers to provide homeowners with essential plant management services such as property evaluation; tree and shrub selection, planting, and pruning; insect and disease control; deer and tick repellent; soil testing; spray and feed; and plant diagnostics. Transforming your property into an outdoor living space that will yield many years of enjoyment for you, your family, and friends, is of paramount importance to the Sage team. Call on us to create the perfect outdoor environment that will not only bring a smile to your face every time you see it, but can also add immeasurable value to one of your most treasured assets--your home. Please take a few moments to review our on-line project portfolio, which illustrates the broad spectrum across which we work. An in-person consultation with one of our specialists can be arranged by contacting our office at 908-668-5858.